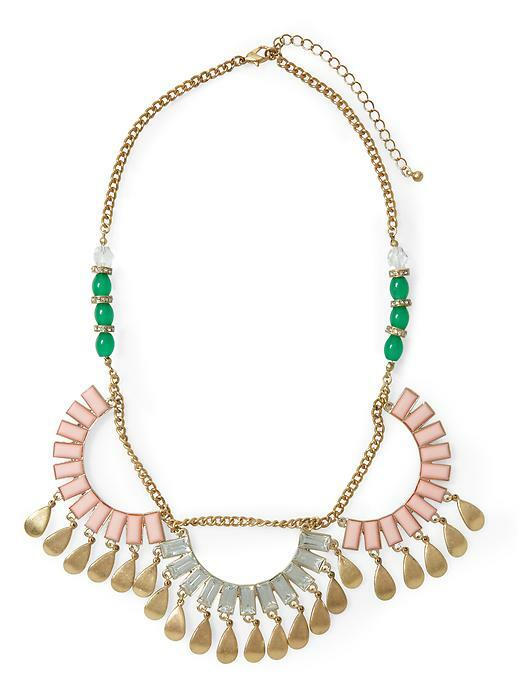 Tinley Road Scallop necklace, $34 at Piperlime. 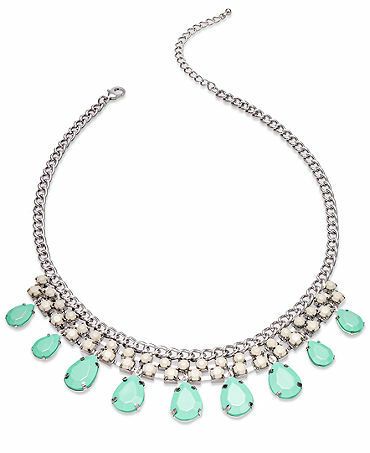 Bar III green bead necklace, $38 at Macy’s. 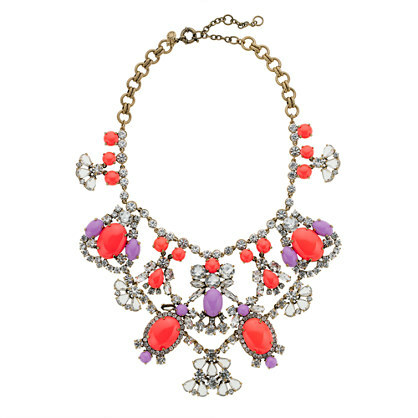 Haskell necklace, $42.50 at Macy’s. 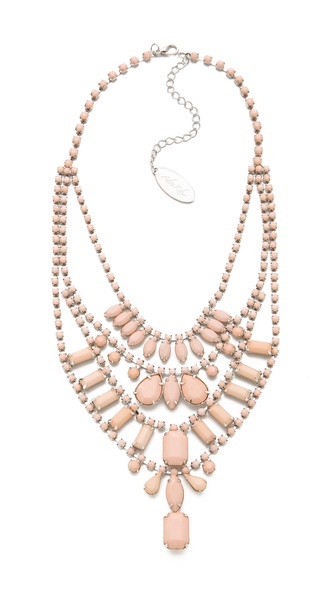 Pastel stone necklace, $44 at Arden B. 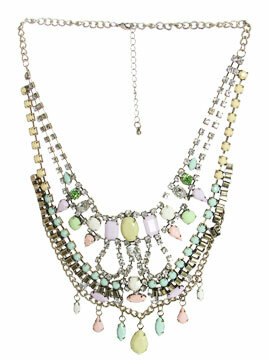 Short wrapped stone necklace, $44.50 at Loft. 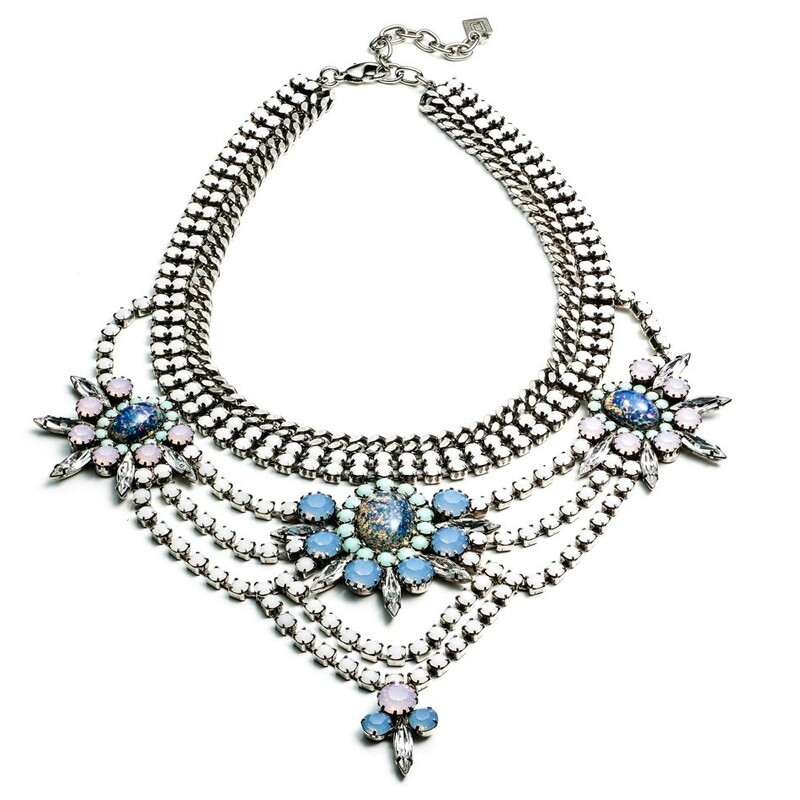 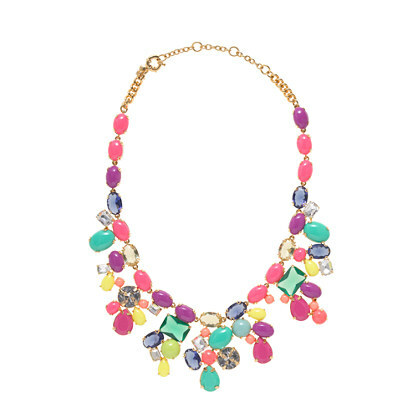 Tropical gem bib, $48 at Baublebar. 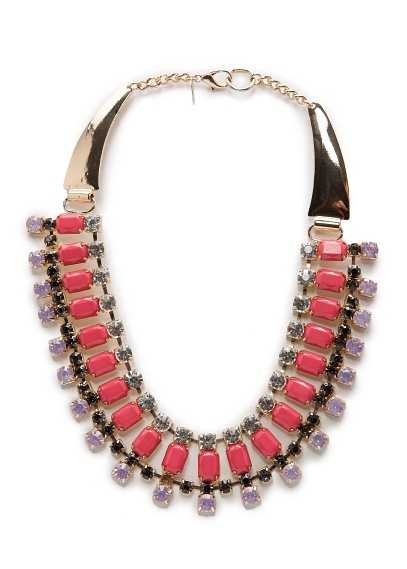 Touch-crystal embellished necklace, $79.99 at Mango. 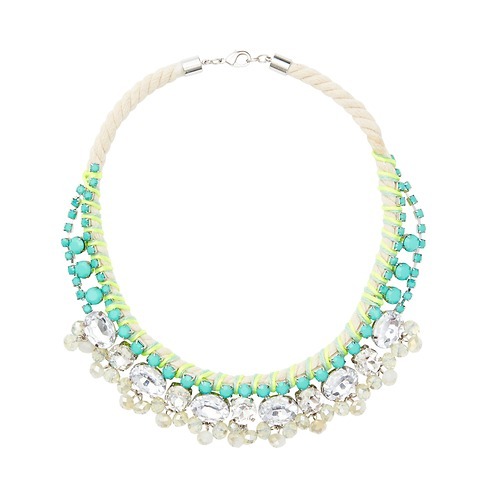 Adia Kibur layered pastel necklace, $85 at Shopbop. 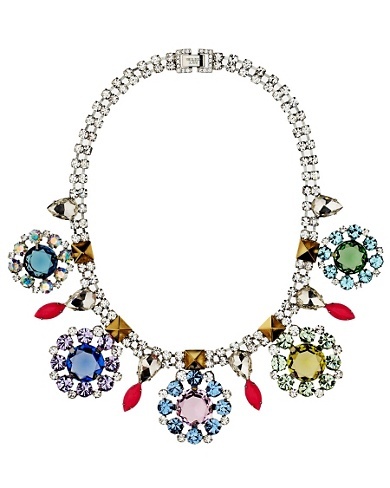 Rhinestone cluster collar necklace, $118 at Juicy Couture. 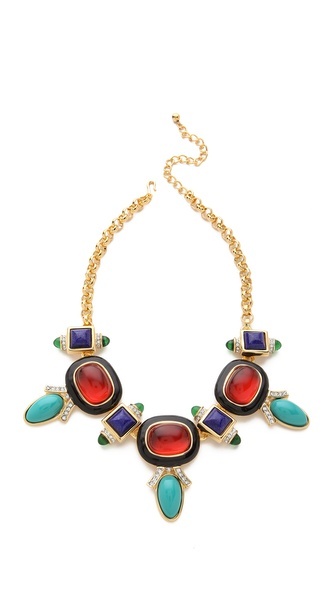 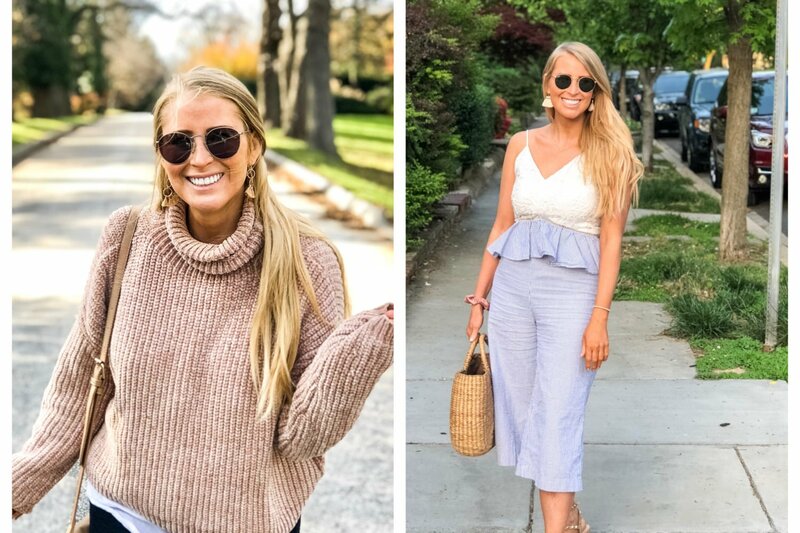 Color mix necklace, $165 at J.Crew. 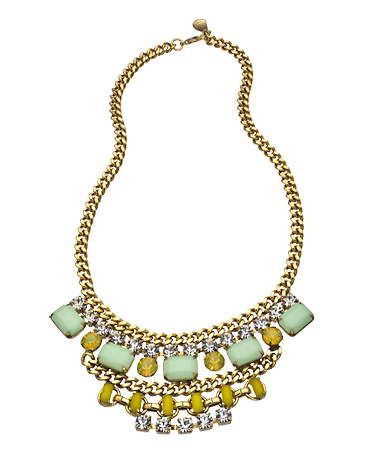 Yochi mint and yellow bib necklace, $160 at Max & Chloe. 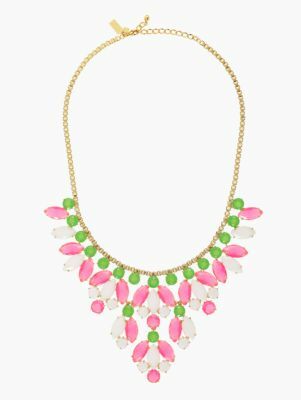 Marquee statement necklace, $198 at Kate Spade. 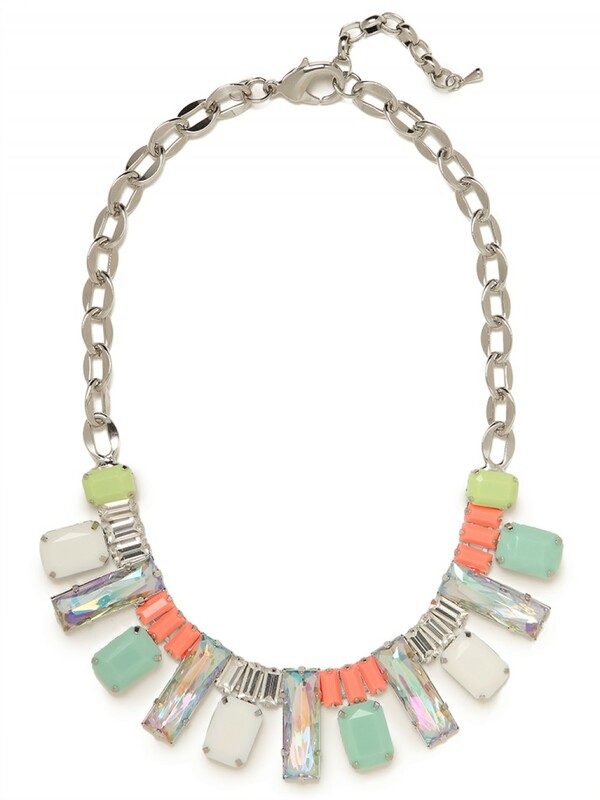 Suzanna Dai Tropicalia necklace, $420 at Charm & Chain. 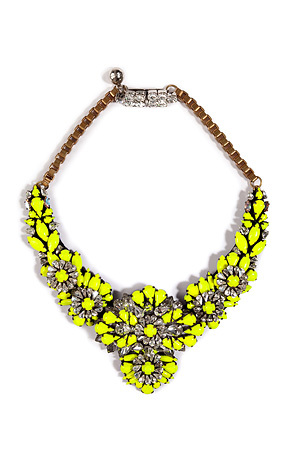 Kenneth Jay Lane deco necklace, $517 at Shopbop. 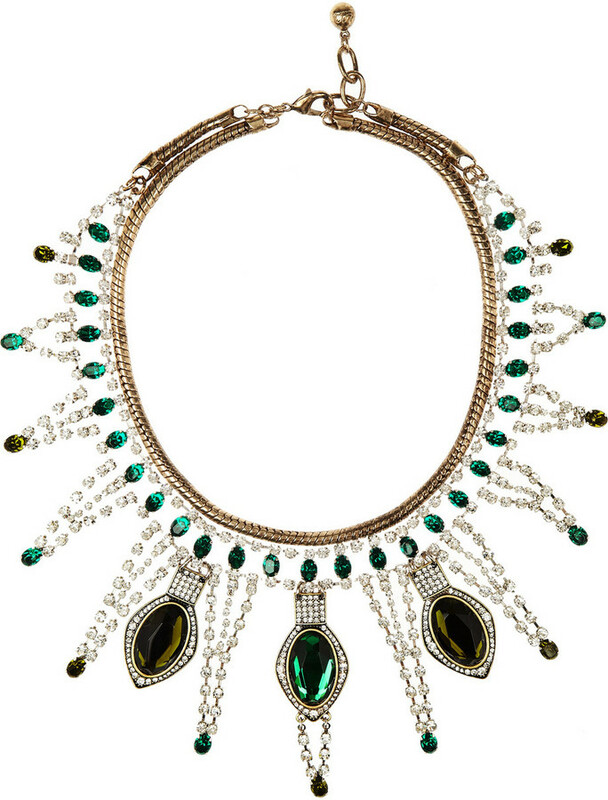 Absinthe necklace, $530 at Lulu Frost. 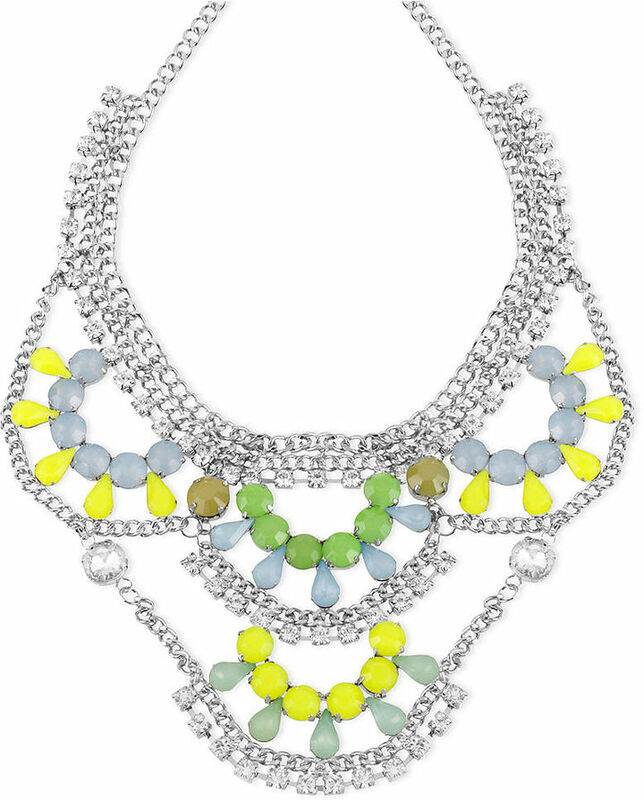 Tom Binns crystal necklace, $730 at Net-a-Porter. 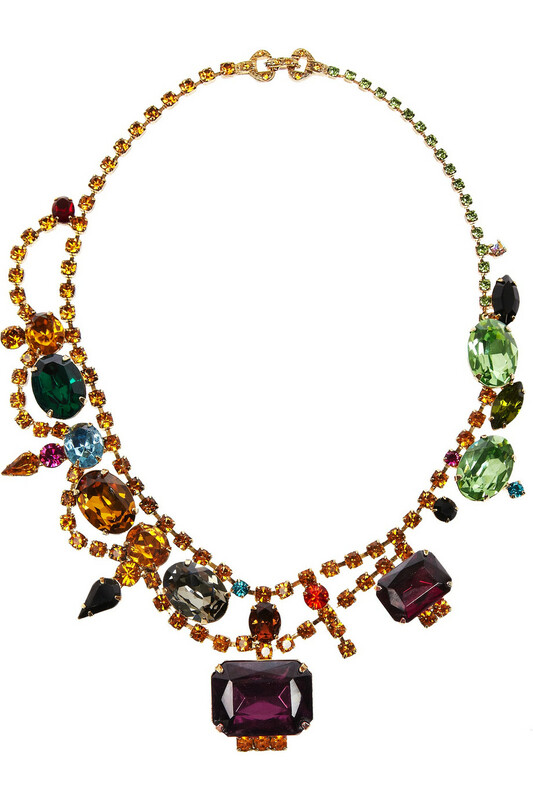 Galilee necklace, $945 at Dannijo. 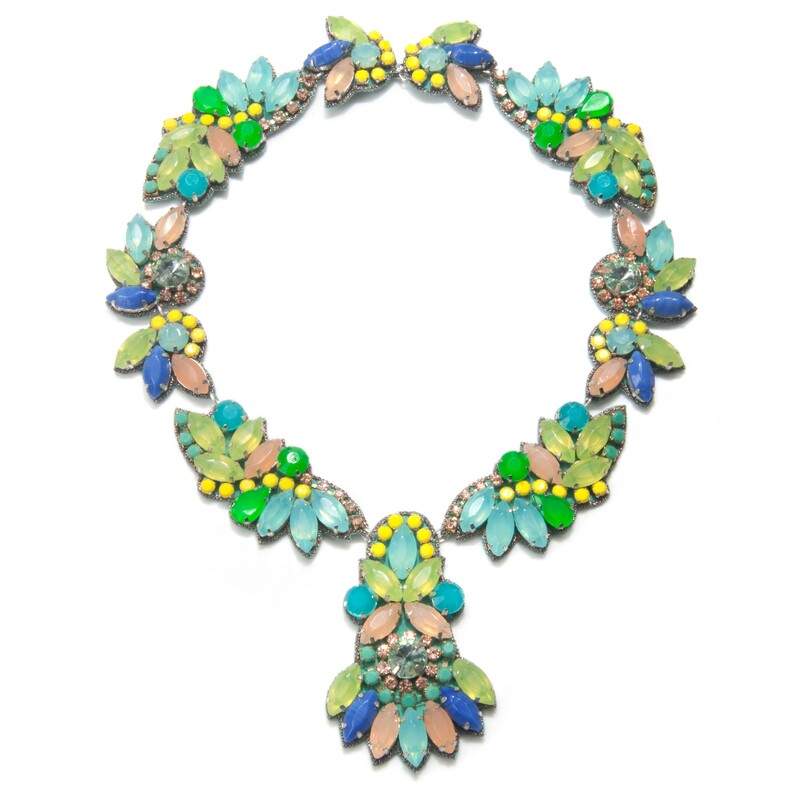 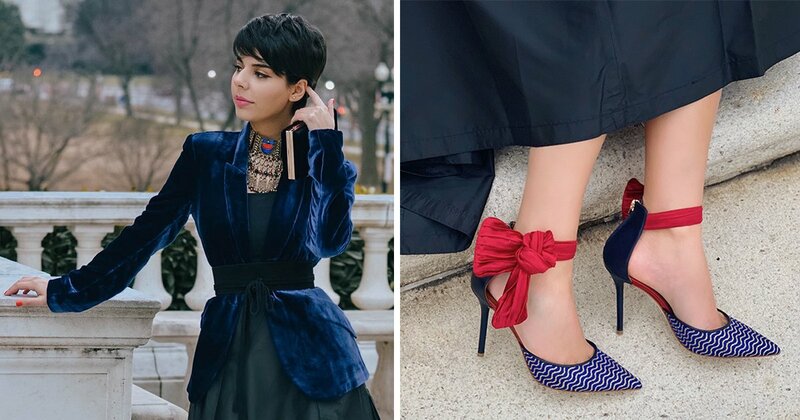 Shourouk Apolonia necklace, $980 at Stylebop. 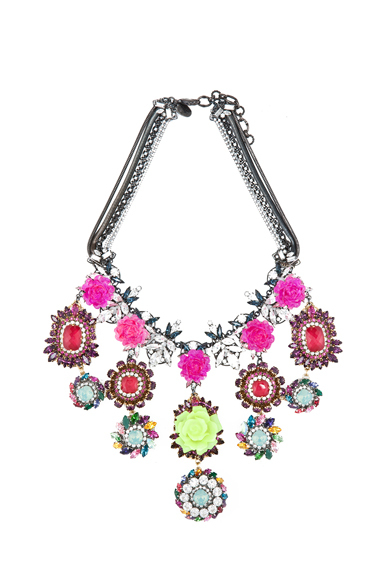 Erickson Beamon Rose Garden necklace, $1728 at Forward by Elyse Walker.